The Helghast have been the antagonists throughout the Killzone series. Lead by Scolar Visari, the Helghans believe that they are superior to the human race and should be their ruler. They first experienced persecution under the hands of the ISA with the planet Vekta taken away from them and moved to the planet Helghan but not without further hardship as the Helghans were forced to buy their own first colony ships. The Helghans experienced economic downfall which fueled Scolar Visari to rise and raise a coup d’etat against the reigning government in the planet Helghan and soon took over. This lead to the Second Extrasolar War and Helghan troops were sent into battle. Can you really blame the Helghans for being the bad guys? 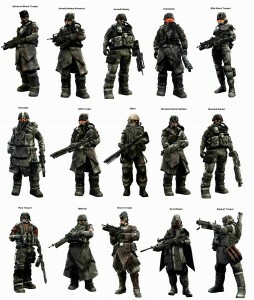 The Helghast come in a plethora of different designs from the Assault Trooper to the Scout Sniper. Heck, there’s even the female Elite Shock Trooper! They are identified mostly for their helmets with glowing eyes and of course, if it hits you, then it’s a Helghast. For the purpose of this cosplay guide, we will be focusing more on the Helghast Trooper. 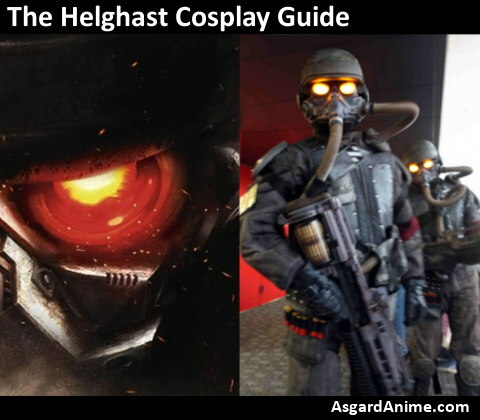 The Helghast is Asgard Anime’s very first cosplay guide that more or less falls under the armor category so we have to go through guide little by little starting from head to toe. The best part of an armored costume? You can go crazy with creativity and surprisingly, you can simply reuse old materials to create a badass cosplay! 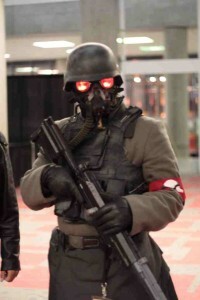 The most predominant and eye catching part of the Helghast costume, regardless of the type of soldier it is, is the helmet that comes with the gas mask and glowing eyes. Blogger Halo2_Norad pulled this off with the following items for his mask. 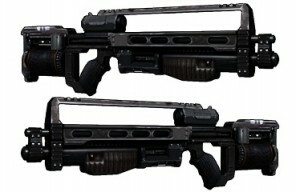 Note that he used this for the Helghast Trooper for the first Killzone. 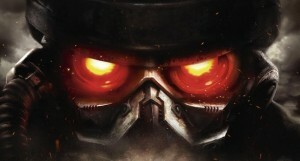 You might want to modify the look of the helmet a bit for other Helghast soldiers. Put the glue and the LED lights together using super glue. Be careful not to get this on your skin. Put your helmet together the same way as instructed in Hal2_Norad’s helmet but you have to make sure that when you turn your LED light goggles, don’t turn them on for too long as to hurt your eyes. So what does a Helghast Trooper wear? 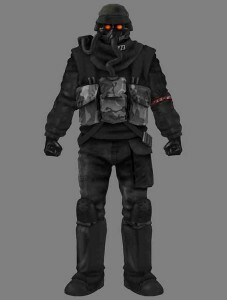 Helghast Troopers dress up in dark gray fatigues. Referring again to Erin Ringwald’s eHow article, grab a pair of cargo pants and a long sleeved dress shirt and wear a military watchcoat over the dress shirt. A load fitting vest is needed to complete the upper part of the costume as well as a strip of red cloth on the left side of the sleeve. 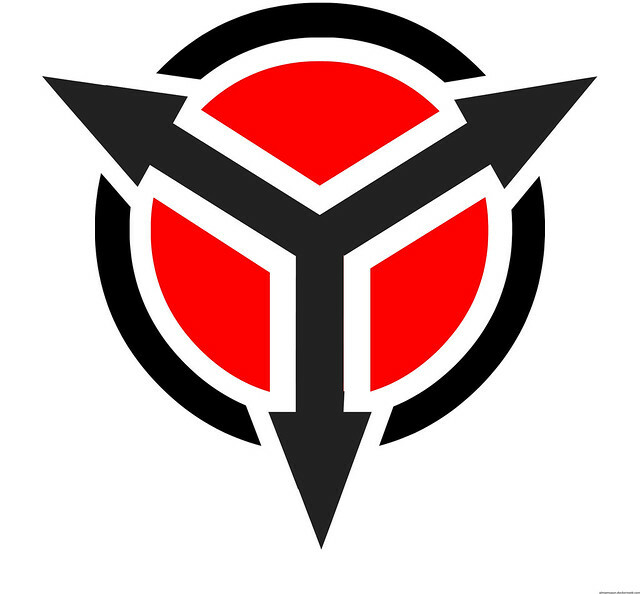 The red cloth bears the Helghan logo which looks like this. Note that the oxygen mask is connected to the middle bag of the load fitting vest. Don’t forget to wear your black leather gloves! Now, the Helgast Troopers wear chunky looking boots so grab knee-high boots and cover them up with dark snow gaiters to make them look bigger than they normally look. This costume will be uncomfortable in cons where heat is slightly intolerable so do take care of yourself. If things get too unbearable, take off the mask, get a drink of cool water and fan out the heat or else you might pass out on the floor. So it’s con time and you’re in all of your Helghast prime! Now what? Here are a few videos that could help you out on how a Helghast acts. Thanks for reading our guide and if you’ve got Helghast cosplay tips and tricks you can share, hit us up at the comments section below. Have fun and keep on cosplaying!